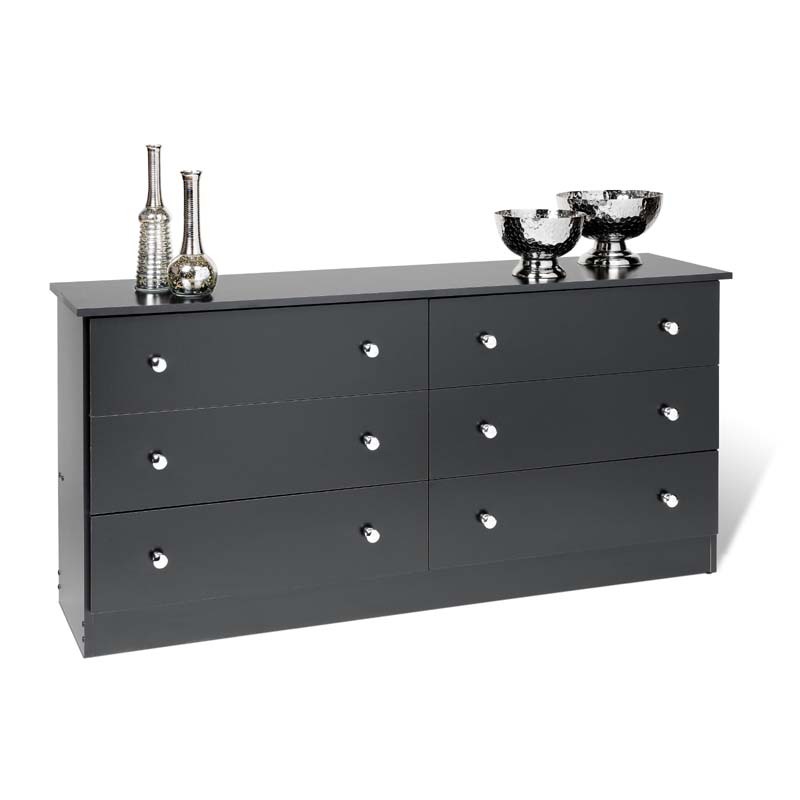 See additional information on the Prepac Edenvale Collection 6-Drawer Double-Wide Dresser (Various Finishes) D-5828-6 below. Available in your choice of finishes: Oak, White, and Black. Black finish comes with chrome finish plastic knobs. An extra-wide "low-boy" design, offering maximum usable top space for additional, open storage. Nylon drawer glides and rounded, wooden pulls. 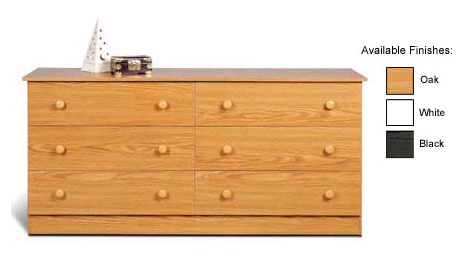 See "Related Products," below, for additional, matching bedroom storage options.